Forewarning: This week’s SoTW is long, even by my shaggy dog standards. What can you do? It’s a long story, spanning 45 years. It was sparked by the recent death of an obscure rock artist with a significant cult following, but quickly moves back to the strange tale of a much more obscure artist, his music, J. Spider Barbour and his band Chrysalis. The story as I tell it is full of detours, tangents, and irrelevencies, so don’t expect a “well-made” dramatic storyline here. Only a bizarre chain of events in which real life and fantasy intertwine in their ironic and inextricable way. There’s been a lot of talk recently about the sad and curious career of Alex Chilton and his band Big Star. At the age of 16 in 1966, Alex fronted The Boxtops’ “The Letter” (‘Gimme a ticket for an ai-ro-rplane’, at 1:50, the shortest #1 hit ever). He formed Big Star in the early 70s, modeled on the British invasion sound, a band whose talent was exceeded only by their absolute commercial failure. There are enough romantic ingredients in the story to spark the morbid imaginations of a critical mass of rock obsessives large enough form around Big Star a cult following which justified the issuing in 2009 a comprehensive 4-CD box was released containing every scrap of music they ever recorded. And then last month Chilton died. So there’s a lot of talk about them, naturally. Well, I confess, I’d never heard of Big Star, and only marginally of Chilton. But there’s another band whose leader I’d like to talk about this week–a band much more obscure and I think much more talented than Big Star. Much more talented than just about anyone, actually. In fact, Chrysalis is the greatest band no one has ever heard of. It all started in 1966. I was a very early devotee of Frank Zappa and The Mothers of Invention, in the days when that was a dubious distinction certain to evoke the concern of parents, the disgust of the respectable citizenry of Cincinnati, and the utter disdain of girls who bathed. Somewhere, probably in a microscopic footnote in a Mothers album liner notes, Zappa called C hrysalis “a group that has yet to destroy your mind”. That was enough to send yours truly scrounging through record bins in remote shopping centers till the LP was found. 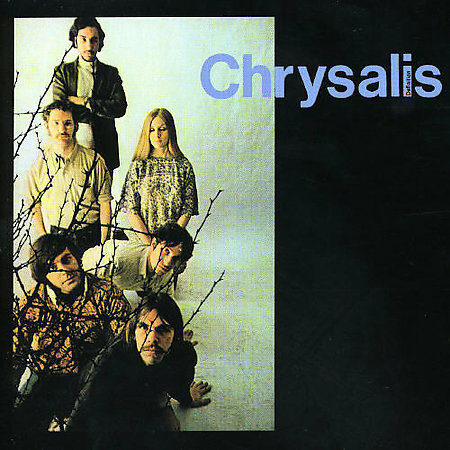 Chrysalis was formed in 1967, led by J. Spider Barbour, made one marvelous album and broke up. It sold many dozens of copies throughout the Western hemisphere, mostly to the band member’s families and friends (the close ones, anyway), and to me. 1967, the year of Sgt Pepper, John Wesley Harding, and Jeff is listening to Chrysalis’s ‘Definition’, an album filled with wit and passion and clever arrangements and indelible memories and stunningly sharp performances and just about any superlative I can think of. If we had to categorize it, it would be witty, melodic acid rock. I guess the closest thing would be The Zombies ‘Odessey & Oracle’ or Traffic’s ‘Mr Fantasy’. But Chrysalis has their own unique and unforgettable sound and vision. And they sold many dozens of records. The very obscurity of the band elevated them to some sort of a symbol for me, though of what I’m not really sure. The curve which approaches the line but never intersects with it. The unattained and the unattainable. The Grail. That which is always slip-sliding away. ‘I opened (the door) for my beloved, but my beloved had slipped away; his speaking had taken my breath away–I sought him, but could not find him, I called him but he didn’t answer.’ (Song of Songs, 5:6, my translation). I somehow convinced David H. and his girlfriend (the goofy rich one from NY) to travel across state to some small college town to see them. He said they were really excellent, and that the Arab drummer, Daoud Shaar really was my carbon copy. I showed the album cover to my father, who really thought it was me. I wrote music reviews for the university paper back then. I wrote an extensive, imaginary interview with Daoud, and published it. What was I thinking? Then my life took me very far away from that scene, from all the great music, famous and obscure alike. At one point, I met a young man, OD, who at the time was I believe in the 9th grade. He was a tall, emaciated, brilliant musician )composer, pianist), obnoxious, non-communicative, anti-social. His talent was widely praised, his personality widely scorned. He was doing some sort of project on the Beatles and was sent to me as a reputed expert. And by the by, we discussed a little music. Over the next 10 years, I taught him everything I knew. Not almost, but everything. We went through the entire repertoire, Buddy Holly to Van Dyke Parks. From the Association to the Zombies, from Eli & the 13th to Astral Weeks, from the Sounds of Silence to — well, Chrysalis. And you know what? Chrysalis sparkled. It still sounded that good, in comparison to all the great music of that era, both to my ears and to his. We hung out some together, OD and I. Our conversations were something along the line of: “I listened to JWHarding and early Stones yesterday.” “Wow, weird day.” He internalized the entire repertoire. He would sit down and play the slow songs from Pet Sounds on the piano with the real harmonies. Off the cuff. And he started playing with a friend, ET, a guitarist. By this time OD was playing as much guitar as piano. And ET also osmosed all the music I grew up on, all the icons and legends as well. On occasion, he would come over and fondle the record sleeves of The Band or the JT Apple album or Randy Newman’s first. And they would play this music, the two of them, sometimes with friends. Including pretty much the entire Chrysalis album. They were very, very good. After three years in the army, they went to NYC to try to make their fortune. Then they went to some town in Saskatchewan where grizzlies roamed the streets at night, to play in a bar. Then they split. OD came home, ET continued travelling around America on his own, guitar slung over his shoulder. …A few days ago I went to Woodstock. 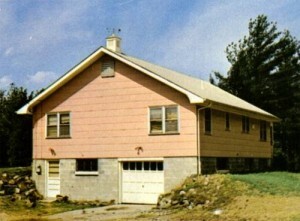 A few days earlier I got the idea of going to see Big Pink, after I read the book Across the Great Divide. The address was written there, so the lightbulb went on over my head. So I went there, and even though it’s gotten pretty establishment and yuppyized, the area is as beautiful as always, especially in the fall. So, early in the morning I started to walk out to 2188 Stoll Rd. Map, walkman and harmonica in hand, I walked along a dirt road till I finally got there, deep in the Catskills forest (even saw a deer on the way). Excitedly, I knocked on the door of that legendary basement. But no one was home. So I played my harp for a while and took a long walk, and when I came back a bearded guy, about 50, answered. I told him my story, and that I was from Israel. He was very nice, to my great pleasure, but he had to go out. So I caught a ride with him to town (Saugerties) and he told me to come back the next day and ‘I’ll give you the regular tour’. I asked him how many people made the pilgrimage to this Mecca, if there were a lot of fans pestering him. He said, not too bad, one every 2-3 months… I went back anxiously the next morning, and I felt bad disturbing him in the middle of work (he’s a record collector), but he didn’t seem to mind. His company worked out of the basement, and he showed me where the recording equipment had been when The Band made the Basement Tapes with Dylan. Then we went upstairs, where he lived, and showed me the kitchen, the living room, the bedrooms. On a visit to the house, Rick Danko had told him [details about who slept where, girls, parties]. When the visit was over, and he was showing me out, I suddenly remembered the key question which was usually the first thing I asked any record collector–if he’s heard of Chrysalis. I had done so several times before in Canada and the US, and they had all heard the name only because the album had some market value, but none of them had taken the trouble to pay attention to its content. But Leslie said he had not only heard it, but loved it, and was even opening a small record company which was making a record of dog songs with– Spider Barbour. He told me that Spider lived not too far away. Needless to say, I took the address and flew there, walking, a couple of rides, till I saw the house he had described. There were a lot of old boxes and cartons outside. The porch was old and neglected. The whole house looked like it was going to fall apart. I stopped by the door for a few moments and just stood there, still. When I knocked on the door my hands started shaking. You have to understand that ever since I got to know the record through OD, who had known it for a long time through you, 8 years now, I had developed an overwhelming curiosity, maybe even an obsession about this mysterious band. Ever since, I’ve always dreamt about getting another piece of information about them, just a little something more, somehow to put together the pieces of the puzzle and to get the whole picture. The very little I knew was from you. A while back, before Zappa died, OD and I thought about contacting him through the internet and asking him if he knew anything. But we never did, and when he died it was too late. After that, when we got to NY, one of the first things I did was to go to MGM, Chrysalis’ company, and ask them. They said that they deal only with films, and their archives were in LA. I so I reconciled myself to never knowing more about the Chrysalis mystery. Till yesterday. Spider (the J. is for James) was born in Ohio and got his nickname at a very early age. He was always crazy about insects and nature. He met the band members at college in Ithaca, NY. They were quickly signed by MGM and moved to Brooklyn. They appeared in the Northeast (farthest they ever got was Detroit), but mostly Woodstock and NYC. Spider also mentioned a few bands they warmed up for—the Who, Procol Harum, MC5 and others. It was then they met Zappa and the Mothers and became friends (Spider guests on Lumpy Gravy, and is mentioned on We’re Only In It). He lived for a while in Jimmy Carl Black’s house. Very quickly there were problems with the managers and the band broke up. In 1969 he married Anita, and they’ve been together, in Woodstock, ever since. When Chrysalis finished recording their album, they had an argument with the manager, who was a real hothead. He took a pair of scissors and cut the master tape. That’s why Summer in Your Savage Eyes ends so abruptly. Spider picked up his acoustic guitar and played What Will Become of the Morning the way he originally intended it. It was very different, of course, from the version we know, much slower. The Mediterranean rhythms were the idea of Shaar and Kotkov. Dr. Root is a real person, one of Spider’s high school teachers in Canton, Ohio. Then I heard some newer songs Spider wrote. They’re as good as those of Chrysalis. He’s a great songwriter. Same beautiful, magic harmonies, same unique, weird lyrics. It was easy to see the disappointment and bitterness in Anita’s eyes when she told me about all the demos he had made and the attempts to sell them to the companies. They often seemed more like mother and child than husband and wife. They played some of the songs to Garth Hudson, but he didn’t like them. Anita seemed more hurt than Spider. He just sinks into his magical, child’s world of insects and music. He recorded an EP with a band called Imago (a type of insect). Four songs, 1980. They gave me a copy as a present. They invited me for lunch, and Anita gave me a painting of hers of two apples. I, of course, never wrote Spider. I would have no idea what to say to him. But I sure do like ET’s tale. And I suppose I can handle the safer, saner ground of a little stroll down my very personal, private Musical Memory Lane. Their signature pieces, first songs on Side A and Side B, baroque piano line, jagged joyous rhythms. Dad and his day, the weird neighbor, the myths of living in the past. 03. Cynthia Gerome – What a beautiful, aching melody. Cynthia Gerome, it works just for a while, dragging people home by the leash of your sweet smile. Ay. So I took her with me, I knew just what would occur there. That’s why I had to take her there. So I called on our Michael, it was so far, and he was willing to drive us. Gathered up her paintbrushes ran to the car. But for the squirrels it was quiet. Lake Hope reality, seems so ethereal floating. For the secret of metaphysical joy there in her body’s caresses. Love is but to play with a girl like a toy, yes but nobody confesses. Lake Hope was calling me, I knew just what would occur there. So I took her with me, only could do it with her there. That’s why I couldn’t take you there. Our Song of The Week, and what a pleasure it is to share it with you. Anything I could say would just detract from its unique charm and beauty. If you’ve stuck with me all the way to here, please do me one small favor – when you listen to it, tip your hat to Spider, wherever he may be. Chasing after leaves and playing catch with raindrops. Glancing about me your eyes begin to speak of what should be. Telling me I’m here and suddenly the pain stops. And then the way you follow me around tells me that I’ve found the rainbow. And sunlight seems to dance across the skies, like summer in your savage eyes. Wow, I was one of those “relatives” that bought a copy of ‘Definition’, which I still have and will likely convert to MP3s this weekend since it hasn’t been played in decades. Jon Sabin was my cousin. I saw Chrysalis play two shows live at the Bitter End in NYC, with the comedian Robert Klein opening for them, back in the days when you could mix acts that diverse and it worked, and when a twelve year old (as I was at the time back in 1968 when I believe this happened) could get in to a club like The Bitter End. Chrysalis was indeed unique, and a huge influence on my later music. Thanks for posting this! One of my favorite albums, and ’30 Poplar’ my favorite song from it…’30 Poplar’ and ‘Dr. Root’s Garden’ were actually staples on Philadelphia underground FM radio in the late 60s…That was a golden age for American music. 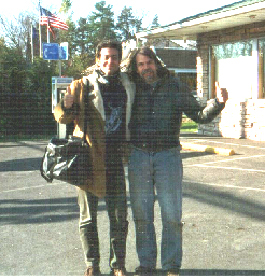 Spider and Anita were friends of mine when I lived in Saugerties in the 90’s. Reading this felt like being with them in their purple house surrounded by pressed samples of plants, silk moths, turtles, dogs, music and art. I never got to hear the Chrysalis album but I loved getting to hear Spider play with the Curmudgeons in Woodstock. And having tea with Anita, she would share with me her latest photographs, drawings of mushrooms, landscape paintings on cookies and sci-fi origami creations. What an amazingly talented warm pair of people they are. Really glad you found this, Lisa. Most of the album is on the blog, down at the end. For your listening edification. I think it’s all on YouTube, as well. I played and sang with Spider on the Imago album. Tom Mark produced and did a great job. We lost Mike Dunn early in 2013 – a great bass player and friend for 30 years – but the album speaks for itself and barely scratches the surface of a writer whom I consider to be, if on the best, one of the best alive in the world today. Tom, I sure would love to hear that album. We could arrange to make that happen. I don’t know where to begin but I’m open to suggestion. Thanks for the information. It’s like old home week. I was friends with Spider’s sister Diane. Met Spider on a weekend while I was staying at his parent’s home in Canton. I really enjoyed reading about your meeting with Spider and Anita. I bought “Defintion” when it first came out after hearing Jonathan Schwartz play a few tracks on WNEW-FM in New York, and many years later I was able to do some research that got used in the booklet notes for the CD reissue. im so happy to have found this article. really nice to see someone that loves this record as much as i do .. if there’s any way to hear imago, please let me know! This is going off on a complete tangent but I saw Robert Klein at the El Mocambo in Toronto ages ago. I sat through two shows and he was very funny. It’s hard for me to imagine because I don’t find standup comedians funny now but I used to. And he was very funny. I loved this post ! Thanks, Jeff. Great article, thanks for writing it. I’ve always loved this album. Do you know, is Spider still with us? Last I heard. 15 years ago? Saw Chrysalis in Philly circa 68 or 69 at a place called The Trauma. Had the lp back then & have often wondered where they are now. Haven’t heard the record in 50 years. Wish I could hear it again, but after many years of reviewing records and songwriting, I don’t have it to listen to. Ray Charles recorded one of my songs the late 80s and another song on the album was written by B. Barbour. Could it be Spider’s brother? Thanks for this write-up. All the tracks are accessible at the bottom of the posting. Bought the album when it first came out. This was a joy to read,. Thank you!